SI12 is a semi auto inertia operating system. The locking system incorporates a rotating locking head. The big advantage to purchase the inertia SI12 is the absence of maintenance. Combining smart technology for superior reliability. The weight of our SI12 is 2.9kg. The first benefit is a fast tilt staight to the objective. 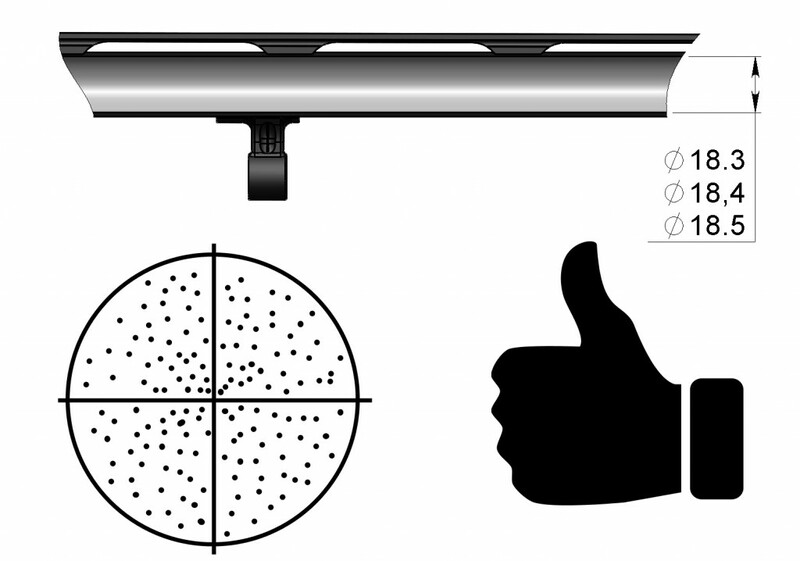 Also the shooters body was taken into account in the development of the gun to allow the balance of our SI12 to be split in the best way to assist the shooter with speed round after round. Marocchi himself manufactures for its own product the barrel. Thanks to a traditional process we produce the barrel starting from the blank material. We drill all the stell piece with special tools for all the length of the barrel. Our barrel’s are drilled 18.3, 18.4 and 18.5 as standard and 100% of the production is checked by our quality department. Our methods are very expensive which results in trowing away close to 90% of the material as production waste. In this way we prevent tension of the material improving the performance of the barrel. Marocchi was amongst the first companies to believe in choke tubes 70mm. Built with the same steel of the barrels we believe that the same elasticity of the materials encourages the distribution of shot in shot pattern. Chrome internally has a very low roughness in order to reduce the deformation of the lead during the passage. Still using the same technology we have developed our extension barrel ideal for those who need superior shooting performances. 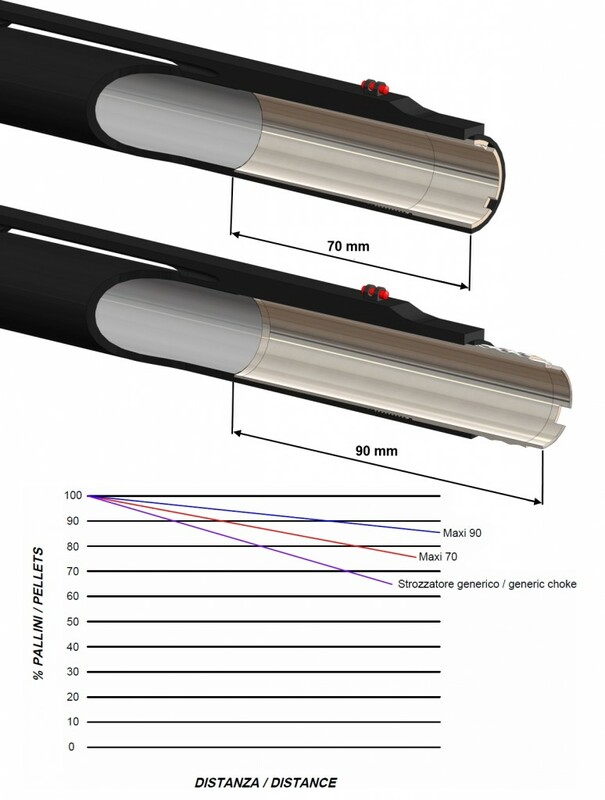 Our slug barrel is 61 cm long and has been designed for optimum accuracy. The decision to build it with greater wall thicknesses has proved successful and the accuracy is truly remarkable. Given that it is a smooth barrel this product provides superior performance compared to traditional slug shotguns. We designed the Polichasse for all those who wanted a complete package ideal for all types of hunting. A practical case in fact contains 5 chokes 90 mm + 90 mm choke tube striped. An extension 7 cm completes the set. The casing is anodized and the stock and forearm are in walnut with an oil finish. Grade 3 are the advantages of our Si12 in an elegant suit. The incision is rich on both sides of the receiver with animals flying golden. The floral theme is lightened to balance the incision that includes the logo Marocchi Italy, the bolt is also engraved. The woods are top grade walnut with natural oil finishing to bring out the natural grain. Italianity of the product has then been expressed with both the technical skills incorporating both elegance and sophistication. The starting point of the grade1 is further enriched with additional incisions: woodcock on the window side and rear. The treatment of the wood has been incremented to get darker woods. Engraved version with stock and forearm enrich with LaserTech and high gloss finish. The nickel-plated steel color is decorated with tribal motif respecting the geometric planes of wood and checkering of stock drawing a line that goes on smoothly throughout the weapon. The shotgun has a sandblasted finish with synthetic stock and forearm. The material used for the stock has two components in nylon and glass fiber, to ensure a high resistance to shocks and also contains elastomer to ensure a marked reduction of the recoil. Your performance will be improved thanks to the better stability on the target. For those who are seeking a compromise of lightness in the 12 gauge Si12Light shotgun is ideal. The barrel without rib and the walnut stocks selected reduce the weight. 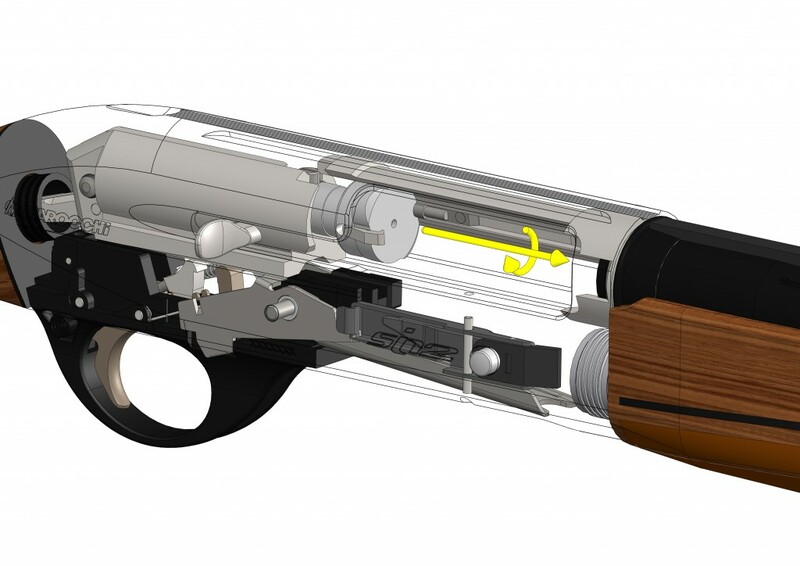 This lightweight gun will make you the fastest on the target.